Following the low-carb, high-fat keto diet can have some pretty amazing effects on the body. It's been shown to accelerate weight loss, reduce seizures in children and help people manage diabetes. 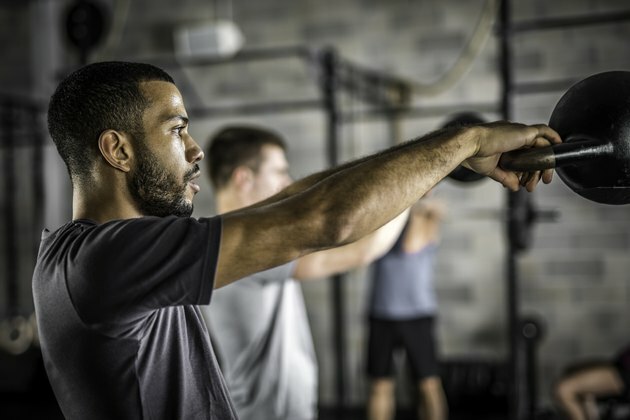 Those aren't the only changes keto devotees see: The diet will likely also affect the way your body handles a workout, though there's some debate over whether exercising while in ketosis helps or hurts performance. 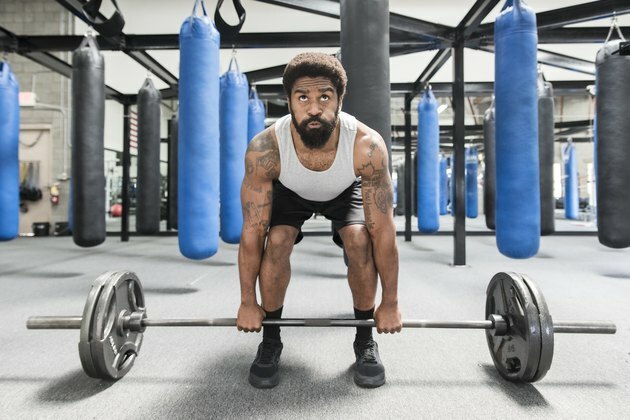 Should You Work Out While on the Keto Diet? On one hand, exercising on keto appears to lead to greater fat burn. A 2016 study published in Metabolism found ultra-endurance athletes who followed a low-carb diet had 2.3 times more fat burn during a three-hour run than those who stuck to a high-carb diet. Another study published in Obesity in 2009 also found following a low-carb, high-fat diet (like keto) led to greater fat oxidation during exercise, but didn't seem to impact aerobic exercise performance or muscle strength when compared to people on a high-carb diet. However, Reyna Franco, RD, a nutritionist and certified personal trainer with a private practice in New York City, says anecdotal evidence from clients suggests keto doesn't benefit performance whatsoever and may even make workouts more difficult. One small 2017 study published in the Journal of the International Society of Sports Nutrition backs her up: The researchers found athletes who followed a keto-type diet for 10 weeks successfully lost weight and their bodies learned to use fat as fuel, but they also became exhausted more quickly and were unable to exercise at high intensities. While science is still on the fence as to whether the wildly popular diet has a positive or negative impact on exercise, most experts agree that you'll need to tweak your workout while you're on it. Here's what to know about exercising on keto. The first phase of keto can be difficult and can induce flu-like symptoms, such as fatigue, irritability and dizziness (hence the "keto flu" nickname). "Everybody responds to keto differently, but I find when you first start out, most people don't have much energy," Franco says. You might notice that it's tough to get through your day-to-day activities and even tougher to keep up with your usual workout routine. Franco says you may notice dips in your strength and endurance for the first few weeks after adopting the diet while the body adjusts to ketosis. Franco recommends dedicating the first week on the diet (or however long your keto flu symptoms last) to active rest. But don't shelve your gym time completely. "It's good to go to the gym and keep your body moving if that's part of your life," Franco says. If you start the diet and still feel well enough to keep up with your usual workouts, Franco says to go for it. Walk, bike, swim or do any other easy, low-impact workout you enjoy. Just make sure you prioritize listening to your body. 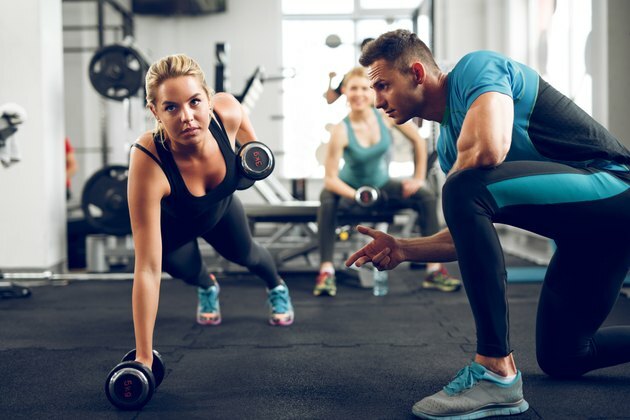 Jonathan Jordan, a personal trainer and nutrition coach based in San Francisco, says most people approach exercise wanting to squeeze as much calorie burn into the workout as possible, which usually means intensity trumps form. So when you're starting keto and cutting back on the intensity of your workouts, use the time to address any issues you've brushed off. Jordan says he finds clients are much more willing to work on things like muscle imbalances and range-of-motion issues when their energy is zonked on keto. Jordan says there are many things outside of the gym that go into your workout performance. These factors include sleep, hydration, stress and, of course, diet. The beginning phase of the keto diet is a good time to address these things. "If while on keto you focus on taking care of these factors — you keep stress low, get lots of sleep, stay hydrated, take in electrolytes — you will be able to progress and challenge your body to go harder and faster in your workouts," Jordan says. But don't go too hard or fast. Jordan generally advises that clients on keto tone down their workout intensity. "When on keto — and especially during the first few weeks — it's best to limit HIIT and focus on low-intensity cardio due to the drastically reduced amount of carbs in your system," Jordan says. Before you started the keto diet and cut out bread, pasta and the like, carbohydrates were your body's preferred method of fueling your workouts. But when you're not consuming any extra carbohydrates, your body has limited reserves to draw from and has to make the switch to utilize fat instead. So until your energy levels are back up to pre-keto standards, stick with low-intensity exercise like walking, swimming, yoga or any activity you can do while still being able to hold a conversation. "The key during keto is to try and preserve muscle mass," Jordan says. You can do that by strength training a minimum of three days per week. "I try to keep volume up and go for cardio reps," he says. For instance, perform two to four sets of 12 to 15 reps of each move, which should keep your heart rate elevated. These increased reps and sets, however, will likely mean that you need to lower the amount of weight you lift so that you can complete each set with proper form. Franco says that once your body has adjusted to ketosis (which should happen within a couple of weeks of starting the diet), you should be able to get back to your normal workouts. Jordan says the body is incredibly adaptive and generally bounces back, eventually allowing you to work out at higher intensities. He notes, however, that high-performing athletes, such as ultramarathon runners or bodybuilders, may have a harder time returning to their usual performance levels than the average exerciser while sticking to the ultra-low carb intake. If you're a serious athlete and keep running out of gas during your workout, you may consider targeted keto. It's a version of the diet in which you eat about 25 grams of carbs 30 to 45 minutes before exercise, says Daniela Torchia, M.P.H., Ph.D., a registered dietitian based in Loma Linda, California. The idea is the body will use these carbs for energy, and then get back into ketosis soon after your workout wraps up. One of the most important things when trying a new diet or exercising on a new diet is to listen to the body. "Some people do well on the keto diet; others just don't respond well to it," Franco says. Some signs you may not be responding to ketosis include not moving past the keto-flu phase and noticing changes in your hair, skin or nails, which could indicate you're missing out on key nutrients, Franco says. If you've been on the diet for a few weeks and notice these things or you just can't kick that lousy, irritable feeling, it might be time to rethink your commitment to keto and let carbs back into your life. "If you can't get back to your typical routine, then this is not the proper diet for you," Franco says.